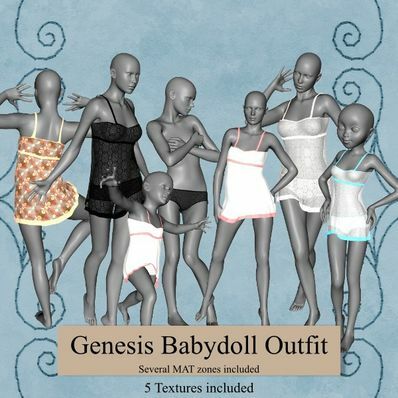 A babydoll nightie and pants that I have modelled for Genesis. It's my second model so I hope there aren't too many errors! There are several MAT zones included so you can change colours easily. I have also included 5 Textures.